Thursday 5 – 11 p.m.
Friday 5 – 11 p.m. The 44th Annual Rockport-Fulton Seafair Committee of 33 members strong have been coordinating and planning a great event! Taking place on October 11-14, 2018 over 4-days, the family-oriented event has become a favorite for all of South Texas. New this year will be a Tejano night featuring Elida Reyna Y Avante. On Friday, you’ll love an amazing laid back Country Music appearance with Ray Benson and Asleep at the Wheel! The ever-popular Spazmatics take audiences back to the 80’s on Saturday night. All throughout the weekend, audiences can enjoy local bands showcasing their talents. It’s a banner year for the Arts and Crafts and Seafair Market Vendors as the Committee added an additional tent which sold out a couple of weeks ago. 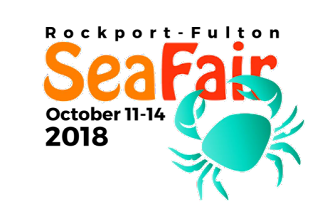 Seafair will be showcasing more than 120 vendors! New this year is a Kayak Race Competition in Little Bay right after the ever popular parade through downtown Rockport. You just stop by the water activities area, complete an application and hop in your kayak or a kayak provided for you. Race away to the finish line and stand by for the prize announcements that afternoon. While you wait, watch the crazy cardboard boat races and the hilarious Crab Races on a wooden race track! We know... you wanted more gumbo! The Committee has approved the preparation of 225 gallons of gumbo which serves 7,200 cups of gumbo. So plan to visit the Gumbo Alley. That is the largest portion ever made for this festival! That is not to mention the Gumbo Competition on Saturday. Feel free to taste the competition gumbo as well. The Car Show and Boat Show are a ton of fun to walk through. You will enjoy watching the Seafair Train as it trails around the festival grounds on Saturday near the Children’s Tent area. Bring your favorite dessert or salsa for a quick contest at the Big Tent stage around 1 p.m. on Sunday. Contestants will need to arrive by 12:30 p.m. The big acts for live entertainment are after 8:30 p.m. each evening. All new this year is Sunday as the official “Aransas County Appreciation Day” when adults get in for only $5 and Aransas County students get in free. The live music will be regional bands. Make sure you get one of the 44th annual T-Shirts creatively designed by Sue Bonnar for the adults and Kelsey Nguyen for the youth. Both have symbolism in the design as we continue to heal after Hurricane Harvey. For a full schedule of events and more visit rockportseafair.com. 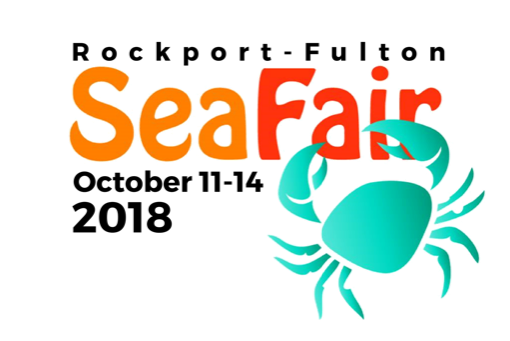 Seafair celebrates its 44th Anniversary by welcoming autumn’s arrival at what we call the “Charm of the Texas Coast.” This year’s entertainment for Thursday Evening will feature Tejano music. Friday is an evening of Country Music with Ray Benson’s Asleep at the Wheel. On Saturday, the always-entertaining Spazmatics will be the featured act. Previous Seafair headliners have included Shania Twain, Bruce Robison and Kelly Willis, Restless Heart, Shenandoah, Bryan White, Mark Chesnutt and Joe Diffie. The Rockport-Fulton Chamber of Commerce is proud to be working diligently in the revitalization of the economy and rebuilding Rockport-Fulton after the destruction caused by Hurricane Harvey. The outpouring of support and assistance by people in our community, near and afar has been a true showing of American pride. It is with extreme gratitude that we present to you this fabulous festival each year.